This visit, part of the strengthening of friendship and cooperation ties between Haiti and Taiwan, will be an opportunity for president Martelly the President of Taiwan, His Excellency Ma Ying-jeou, to conduct a wide exchange of views on issues of common interest and on developments both regionally and internationally. While in Taiwan, President Martelly also took the opportunity to visit Haitian students currently studying in the country. 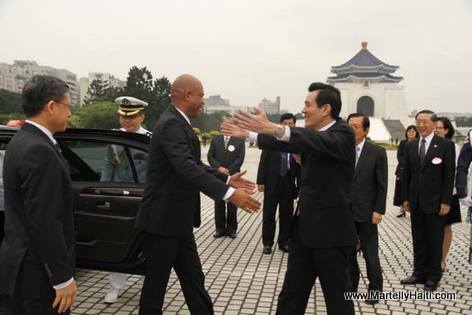 President Martelly and the Haitian delegation will be completing the Taiwan State visit from April 21 to 24. That is good for the president to visit the other countries to talk to the other people who have maybe more experience than him and change some ideas.